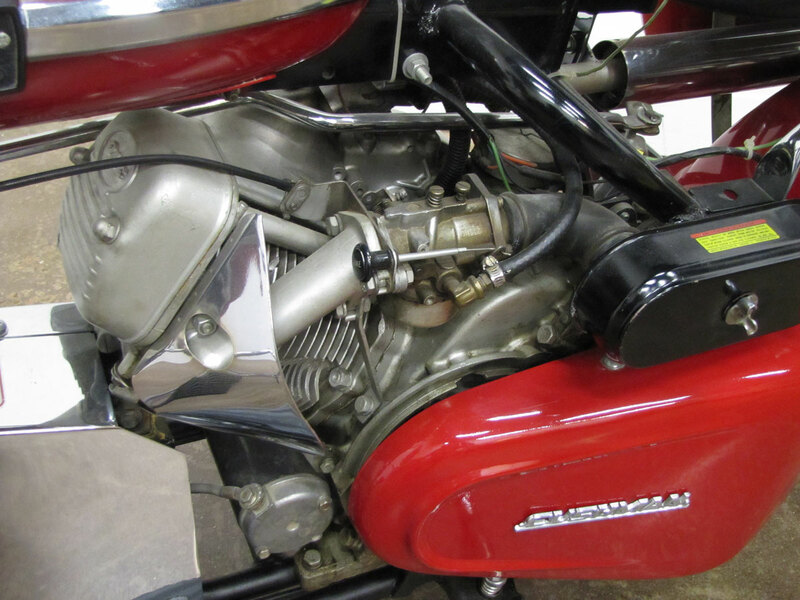 Cousins Everett and Clinton Cushman began building engines in 1901. 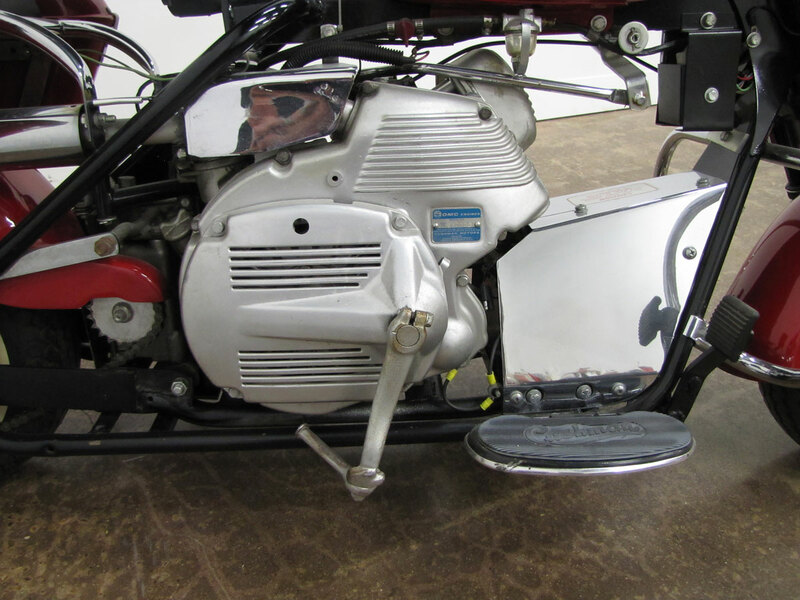 Early power-plants were branded the Husky. 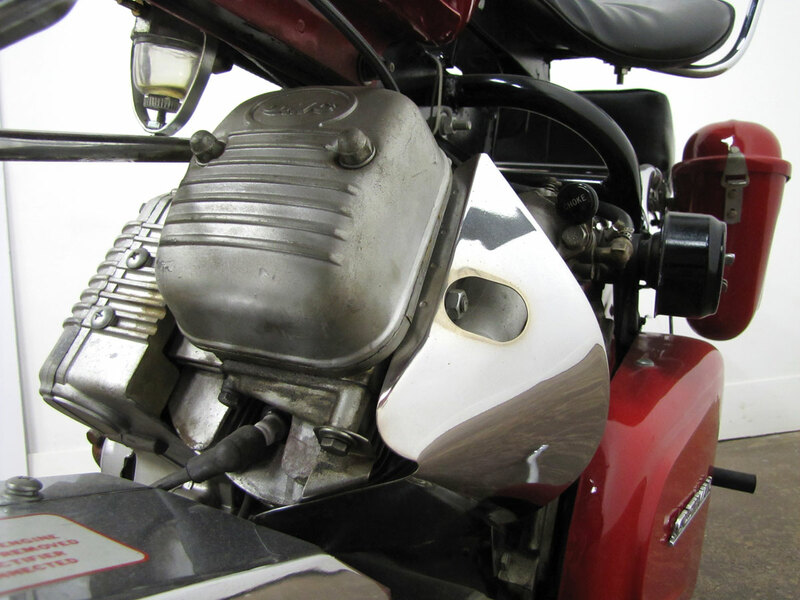 Over the years these engines powered lawn mowers, race boats, plows, pumps and more. 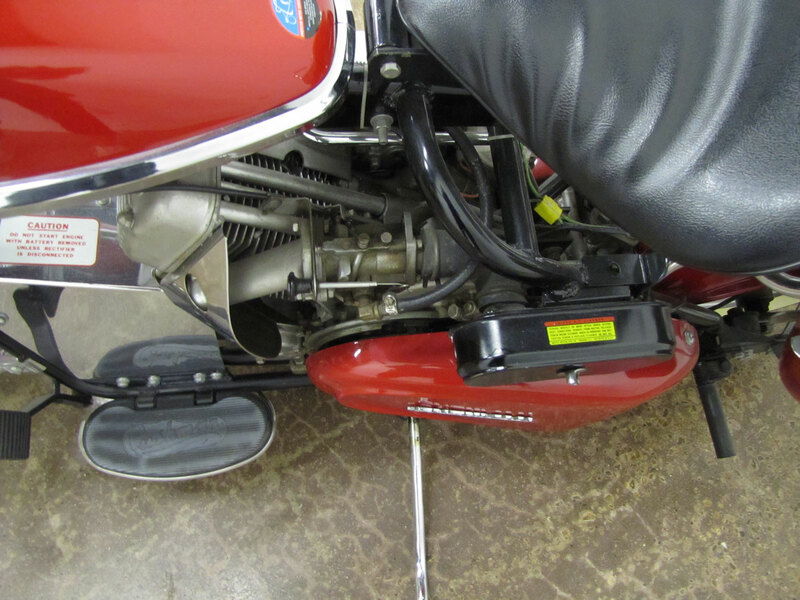 But the Cushman Motor Works of Omaha, Nebraska, which came along later in the lives of the Cushman brothers, also established a good reputation by building motor scooters. 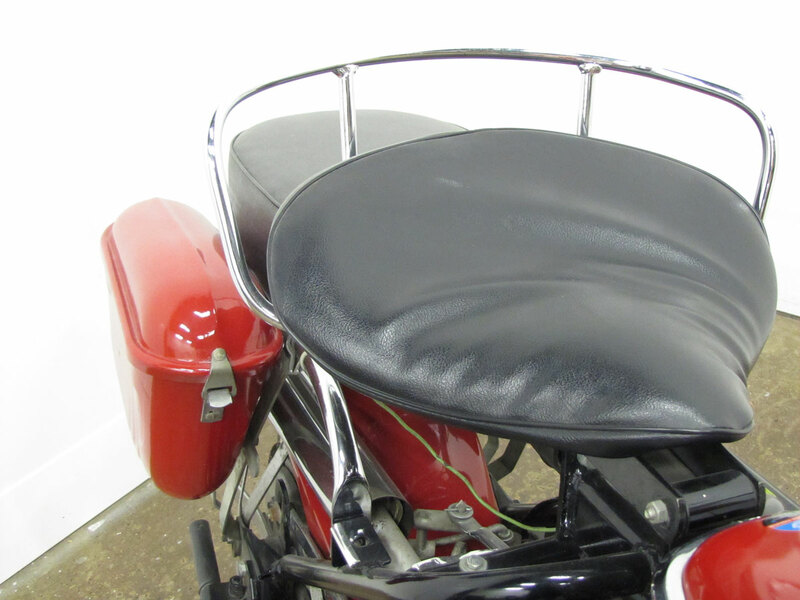 The first was the famous Auto-Glide model which they started to manufacture in 1937. 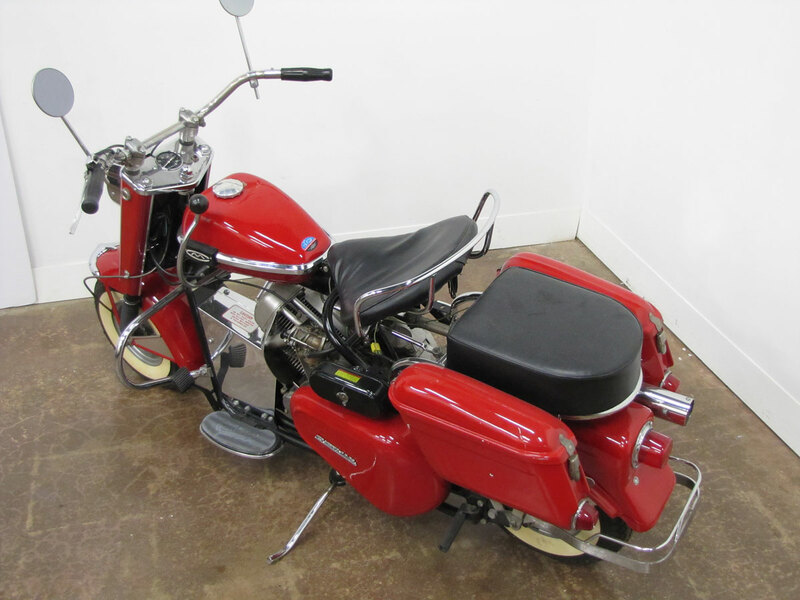 Then in 1949, Cushman redesigned its 50 series scooter borrowing styling cues from big American touring motorcycles like the Harley-Davidson Duo-Glide. 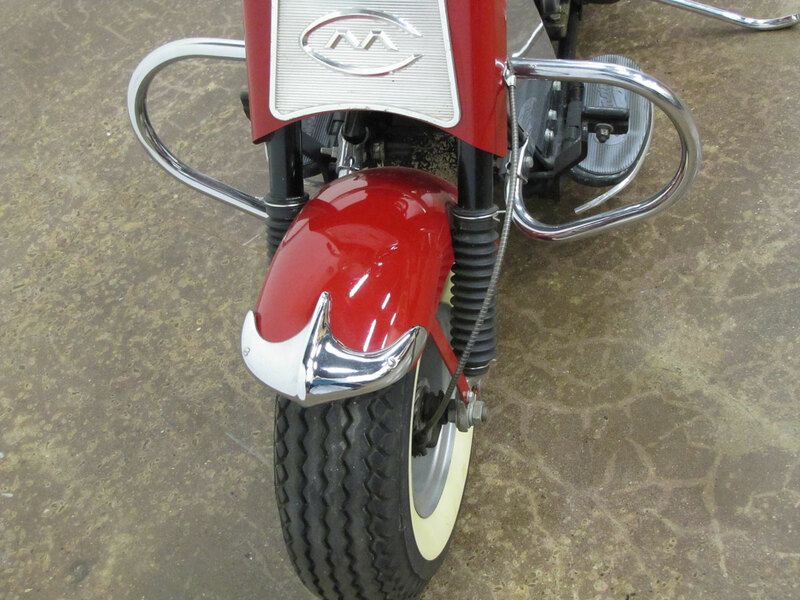 The newly named Cushman Eagle Motorcycle became the firm’s best seller ever. 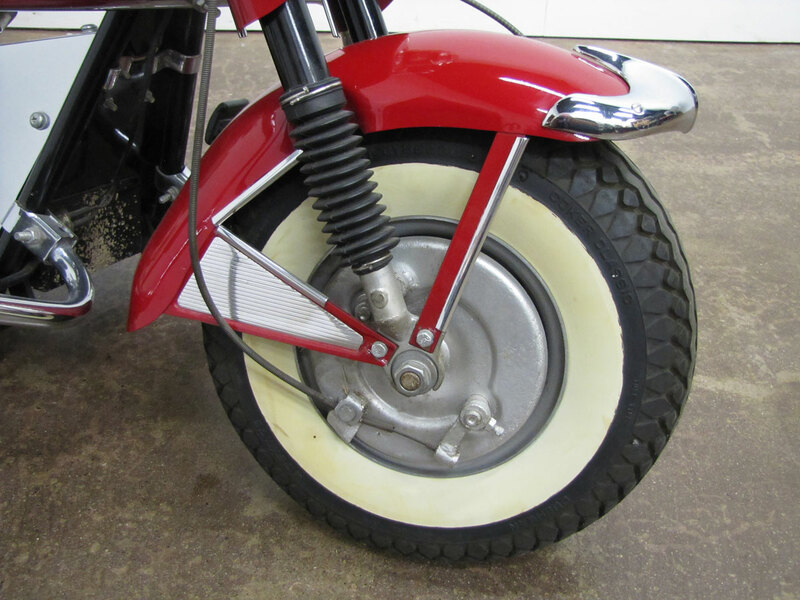 While Cushmans were fine products in the 1950’s, they could not endure competition from Japanese motorcycle manufacturers who brought price and sophistication along with better distribution and marketing. 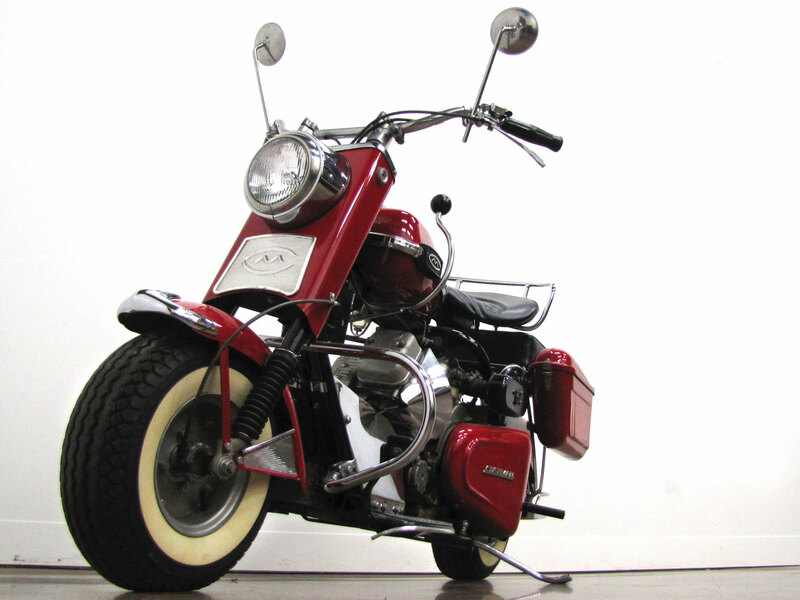 Cushman assembled its last typical consumer type scooter in 1966. 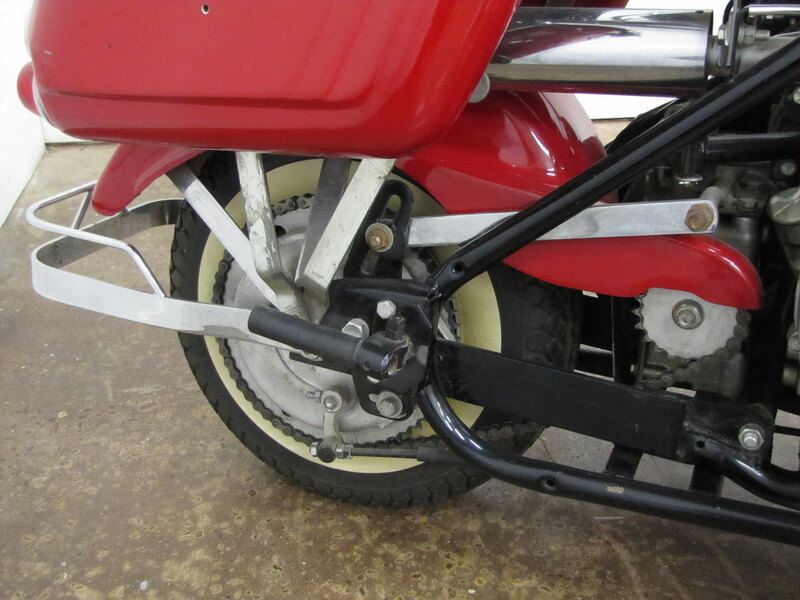 Turf maintenance equipment, industrial vehicles and golf carts remained viable for the company which has been owned by several manufacturing conglomerates over the years. 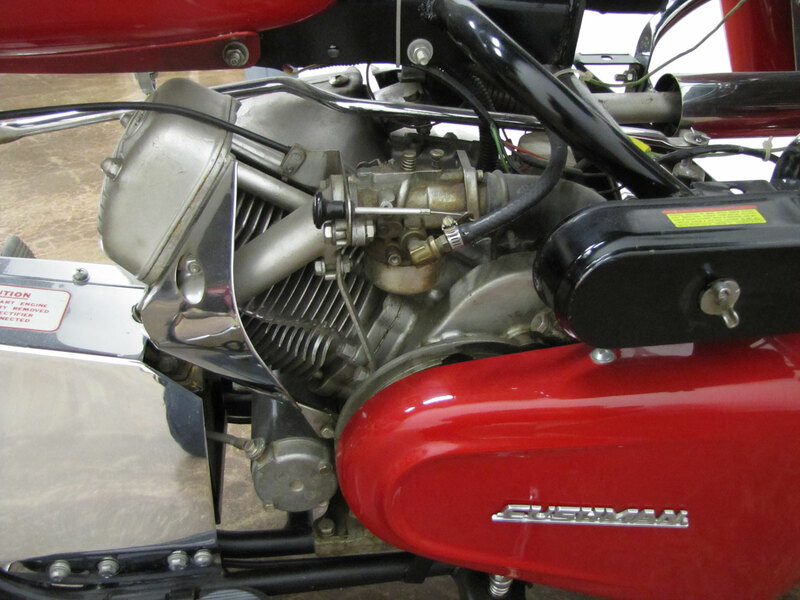 In addition to the basic Eagle, more stylized and better equipped Cushman Eagles were available, the Super Eagles and Silver Eagles got up to 9 horsepower from the new Super Husky engine. 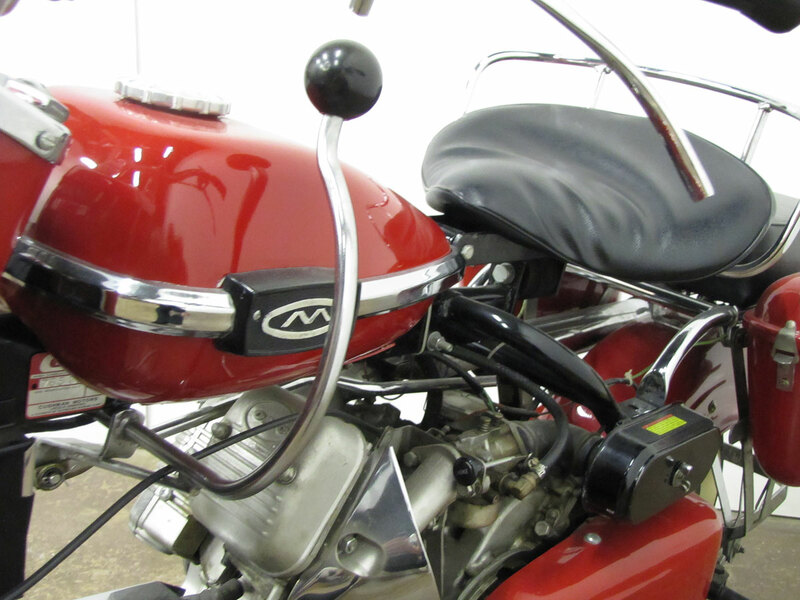 The Silver Eagle was a fully optioned model with a price tag to match. 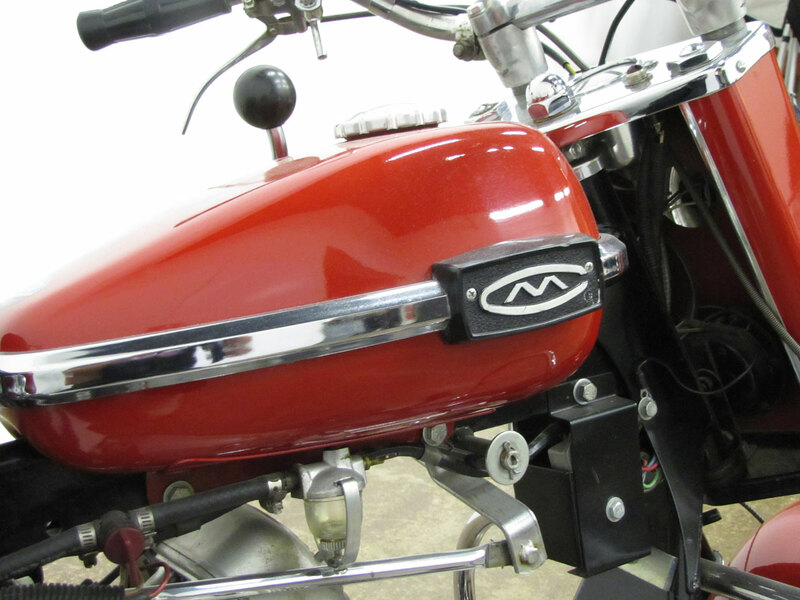 It featured an electric starter, a Buddy Seat, saddle bags, turn signals, twin mirrors, speedometer, windshield and offered special order paint schemes. 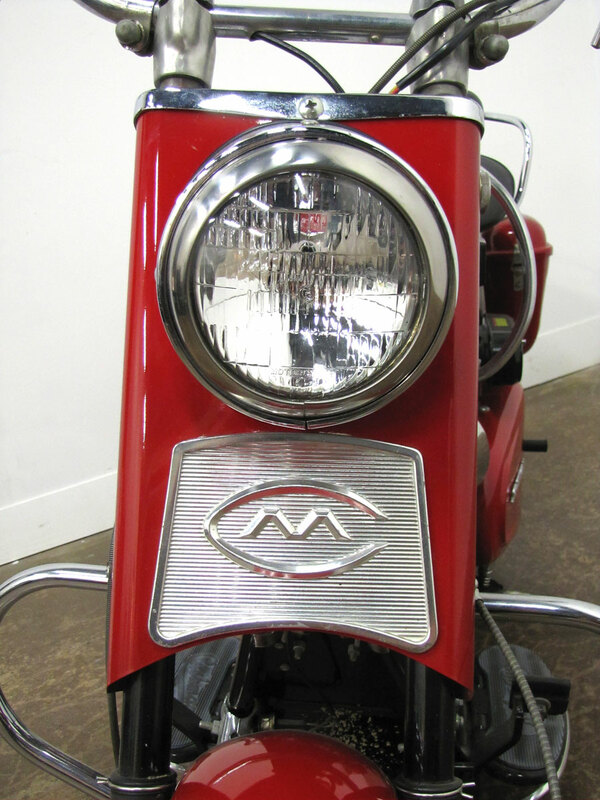 The National Motorcycle Museum has an interesting collection, radically different approaches to scooter design from Italy, France, Japan, Germany plus the Cushman, Argyle, Topper, Salsbury and Doodlebug all made in America. 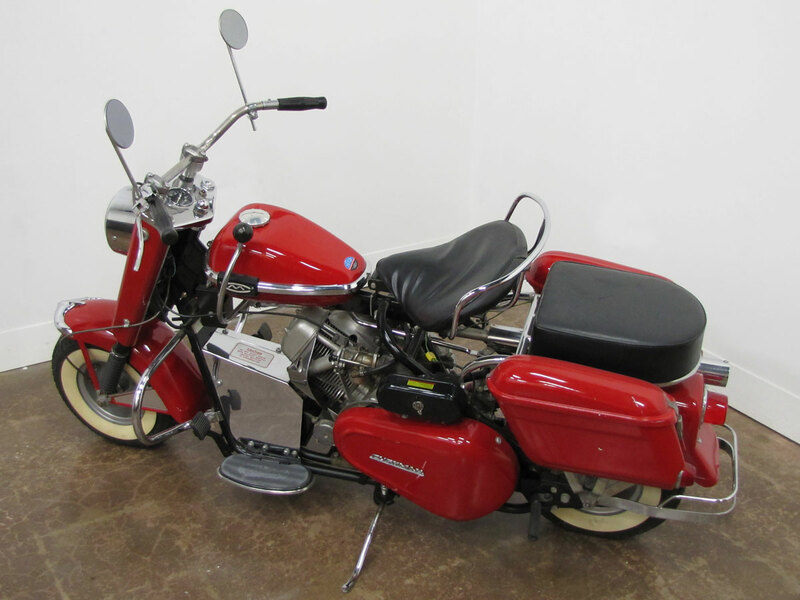 My desire to have my own Cushman started when I was about 12, that would have been around 1956. As a young boy I worked for my father and uncle in their TV/Radio Repair business in a small Northern Texas farming community. 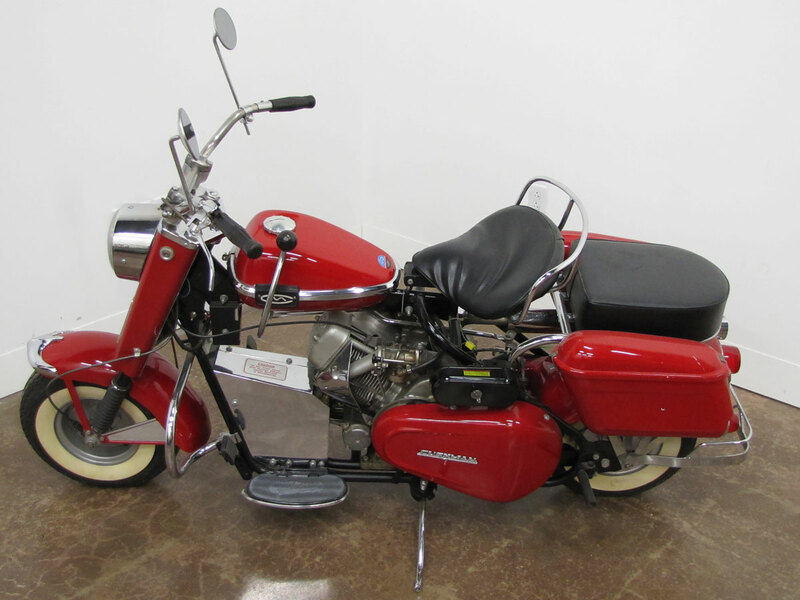 Just a short walk from their shop was a Cushman dealership. 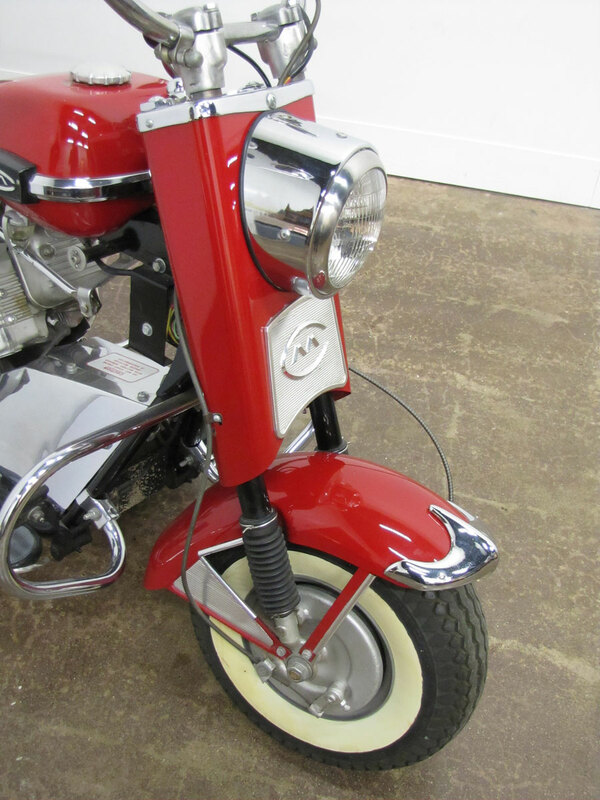 I would frequently walk down there from the shop and admire all the Cushman scooters. 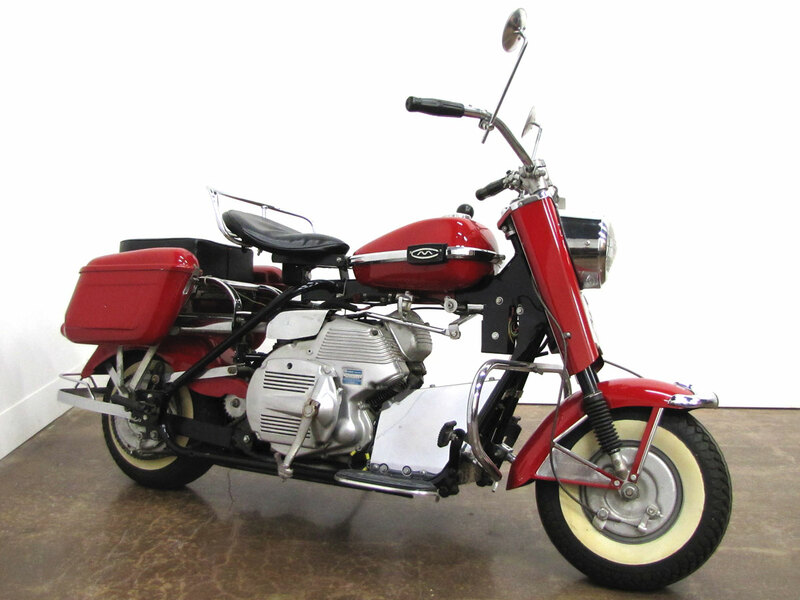 I had an Sears Allstate scooter and it was okay but it wasn’t a Cushman. 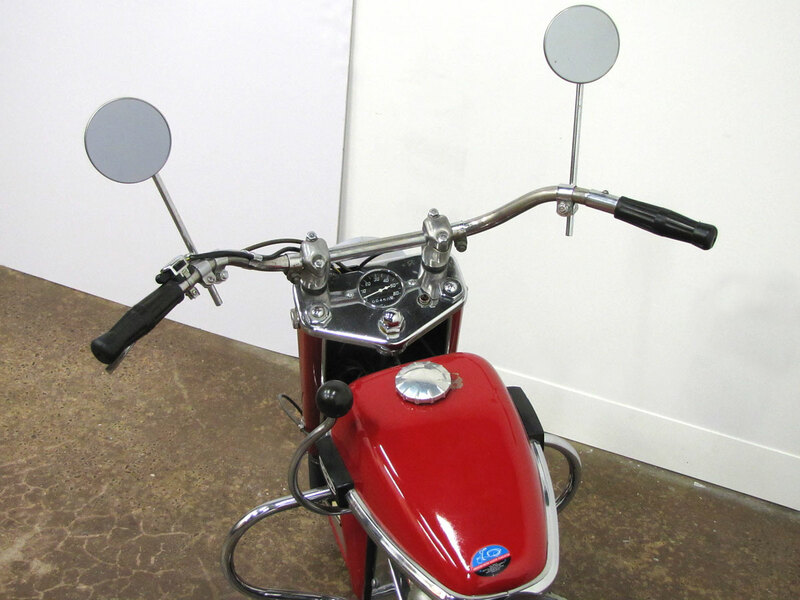 I had two friends with Vespa scooters. 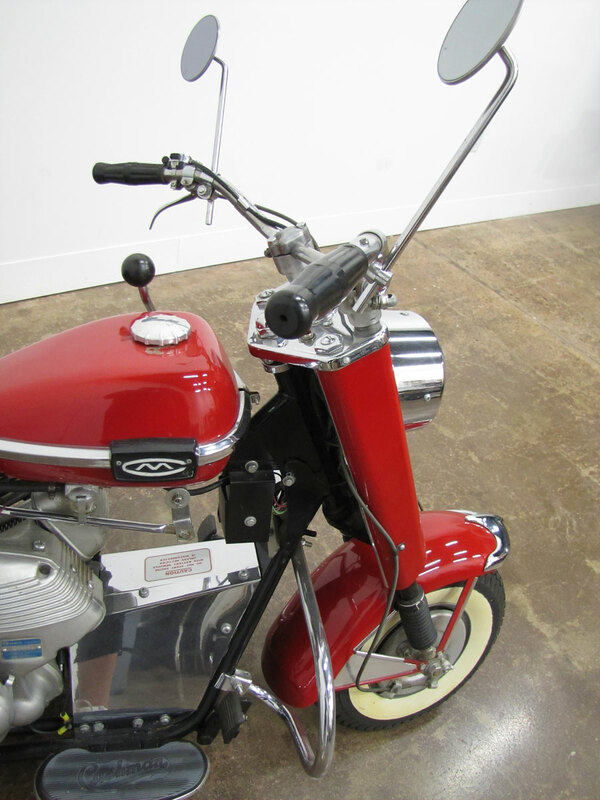 The Vespa was about the next best thing to a PB&J sandwich, right behind a Cushman that is. My friends could run off and leave me in their dust and regularly did. 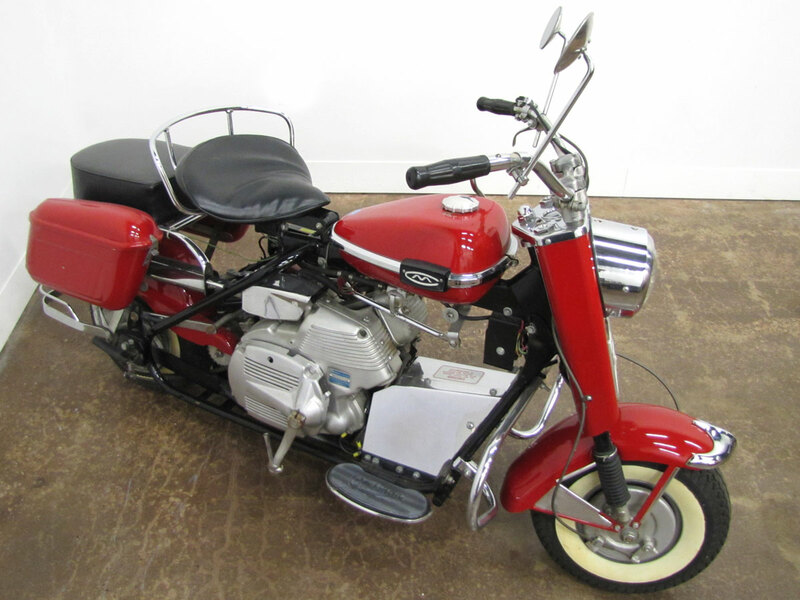 I always thought if I had a Cushman I could easily keep up with them. 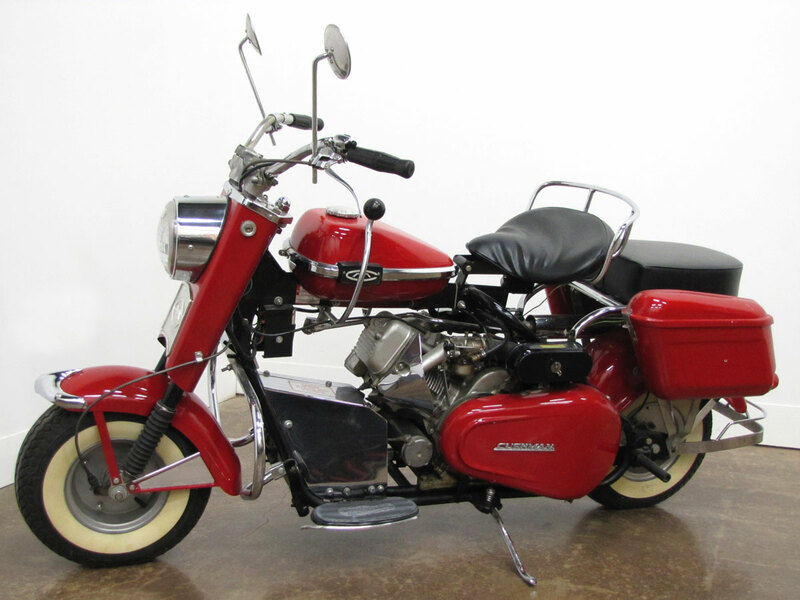 I’m now a senior citizen and still don’t have a Cushman or a Vespa, but I refuse to remove either from my bucket list. Just typing this short message brought forth some good memories. 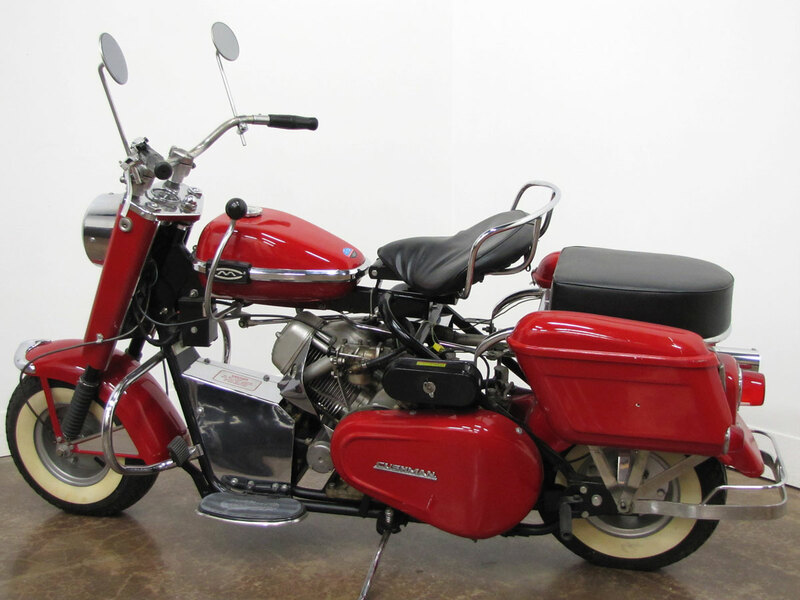 I am 67 years old and still drive a Harley but would love to get into a Cushman eagle. 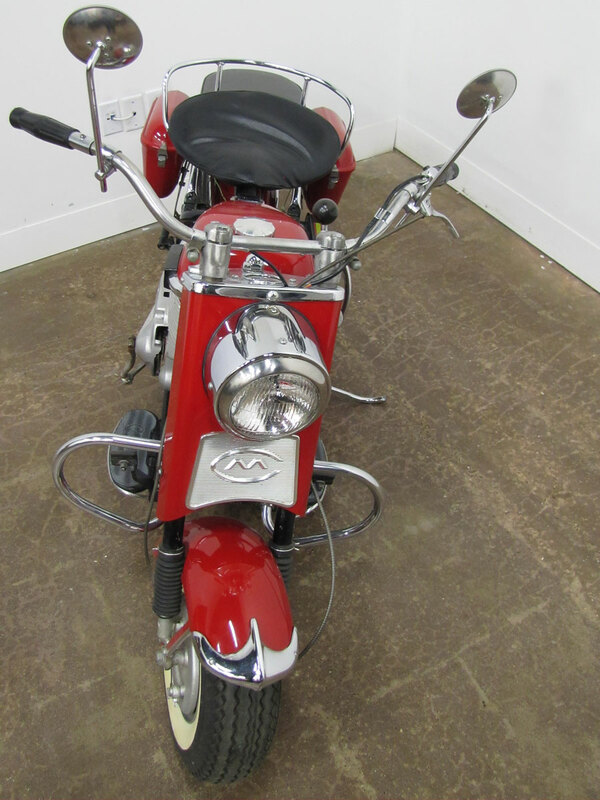 Or just to be able to all in one, delivered papers back in the 60s early and a friend of mine old one. And at that time and still our thought that was the coolest. 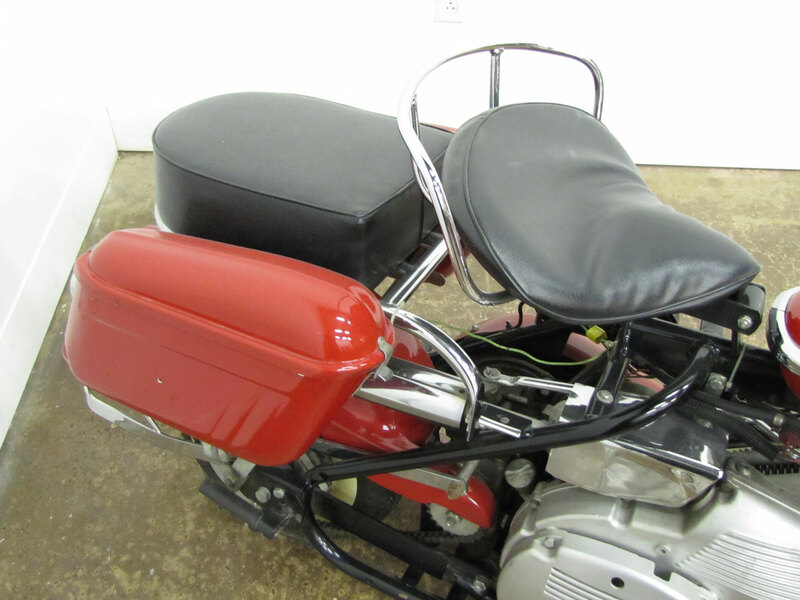 I am 76 years old and have ridden motorcycles since I was 23. 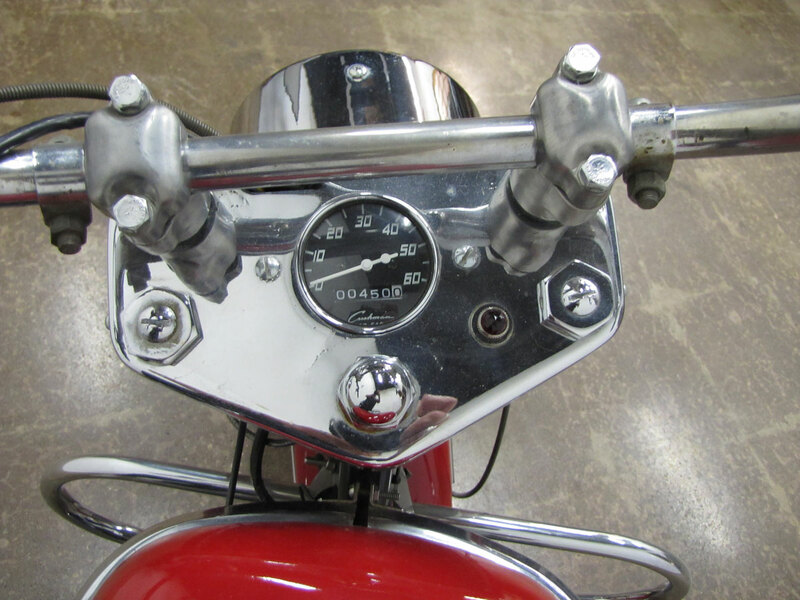 I have Harley now that I have put 50,000 miles on since 2008 including a coast to coast ride. 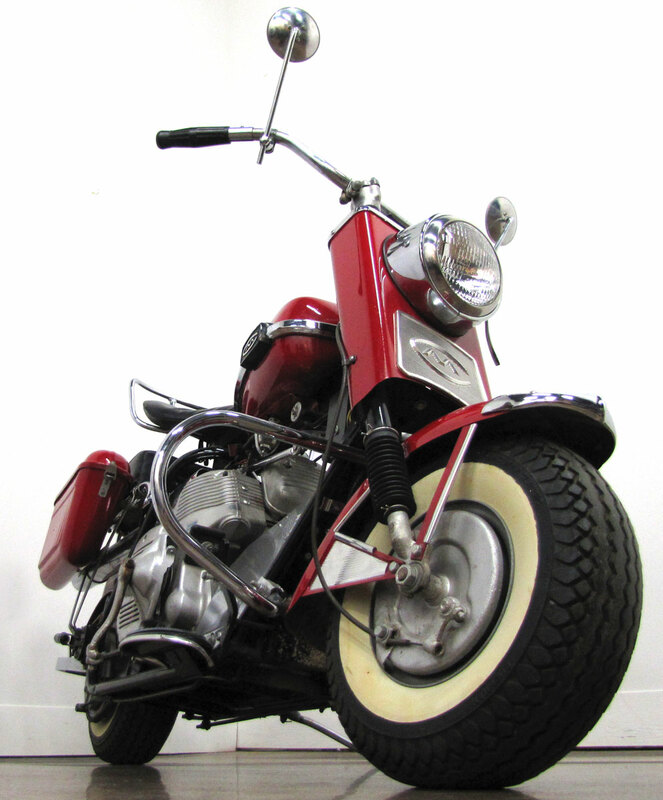 All of this started when I was 15 in 1956 and a school friend had a Cushman that he took me for a ride on. 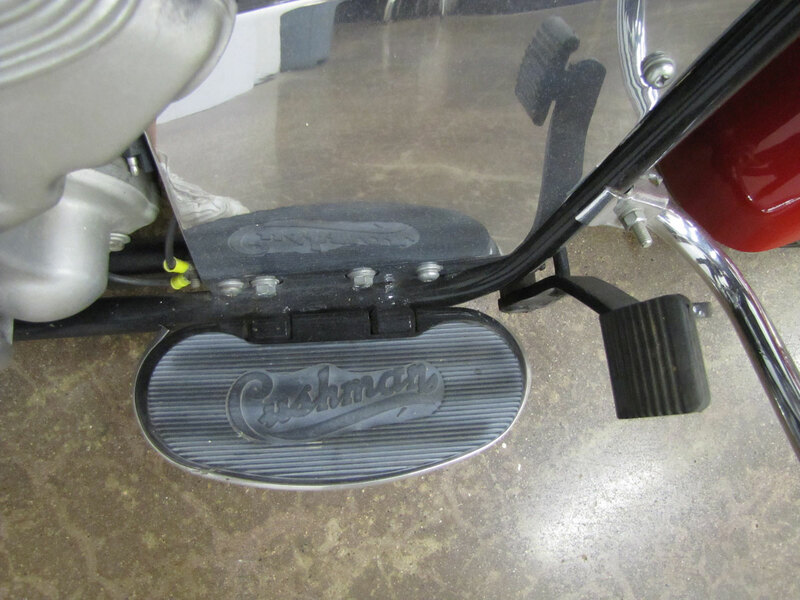 We lived near Omaha, Nebraska and Cushman’s were made just 60 miles away in LIncoln. 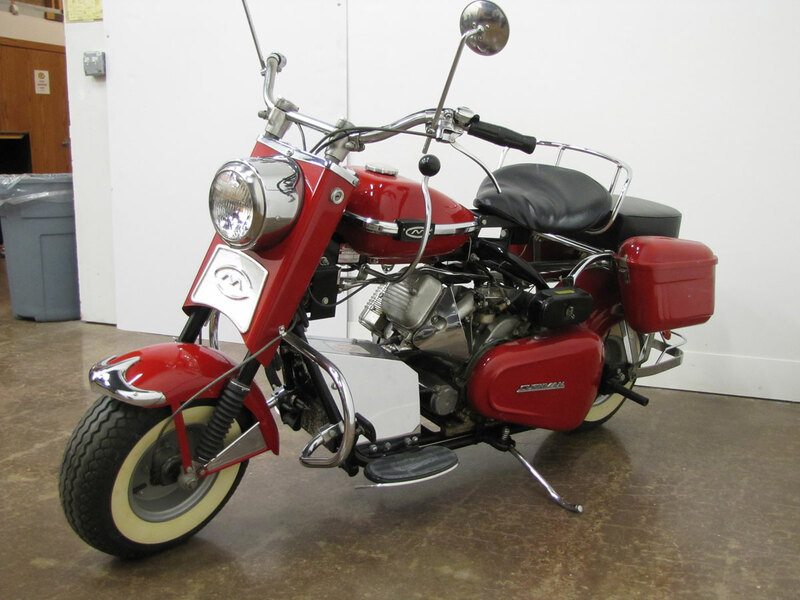 Well as life went on for me and all my motorcycles and all the riding I have done, I always wanted to relive that experience of that Cushman back in 1956. 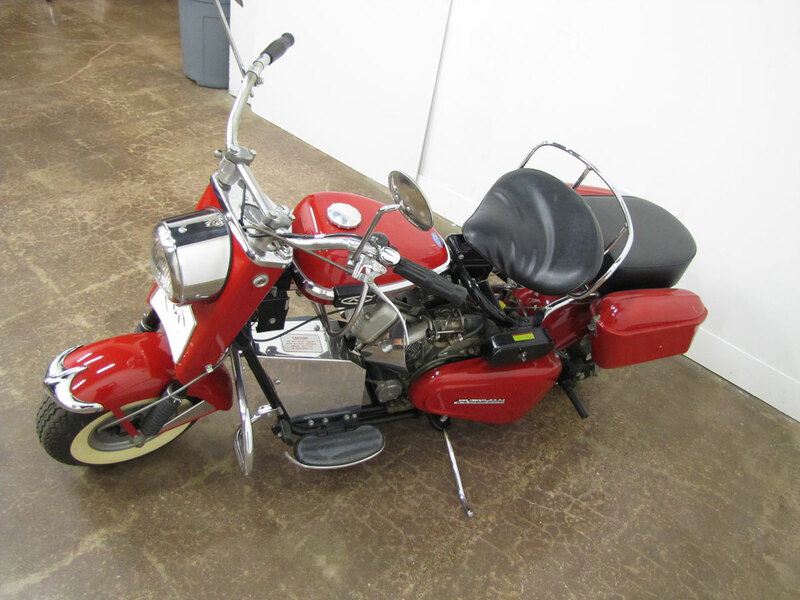 Just one month ago I was at a farm auction here in Ohio and out of the barn, all dirty but in good shape, came a red 1964 Super Silver Eagle Cushman and I bought it. 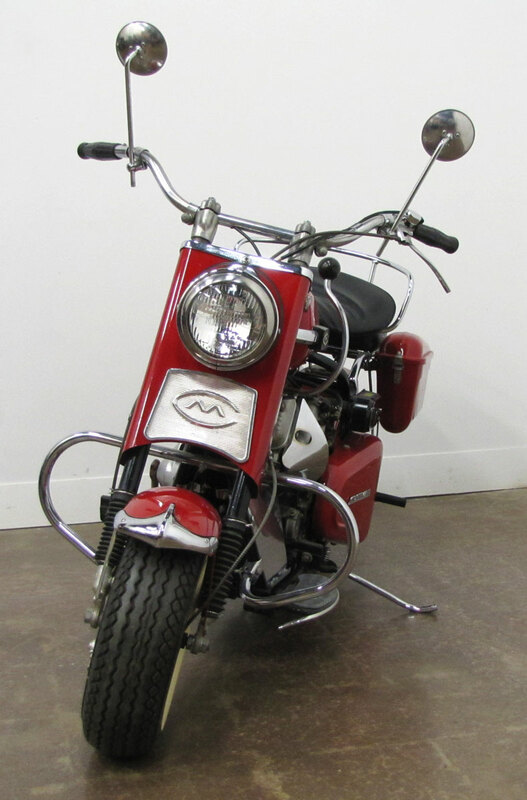 I am as happy as I was when I bought my first motorcycle. 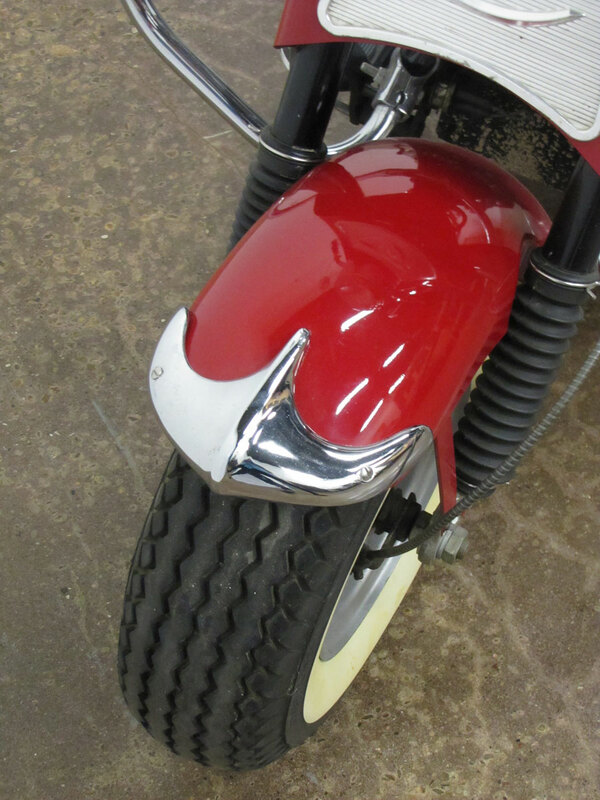 The neat part of the story for me is it is the same model as the 1961 you feature in your museum. 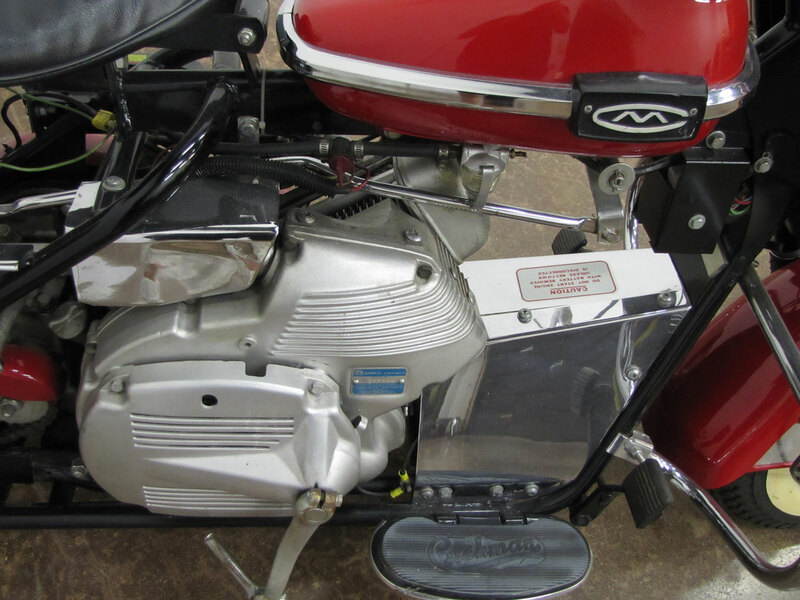 After cleaning it, replacing the battery, rebuilding the carburetor and replacing the spark plug, it started right up and looks just like the one in this article. Last night I took it to a classic car show and put it on display and it was a hit! 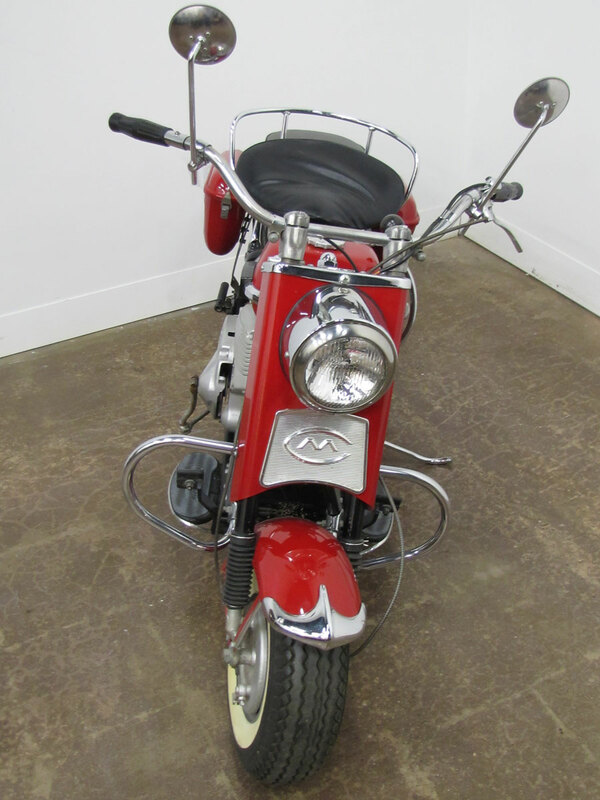 Now my Harley sits proudly by my Cushman in the shop and I am happy as I can be. 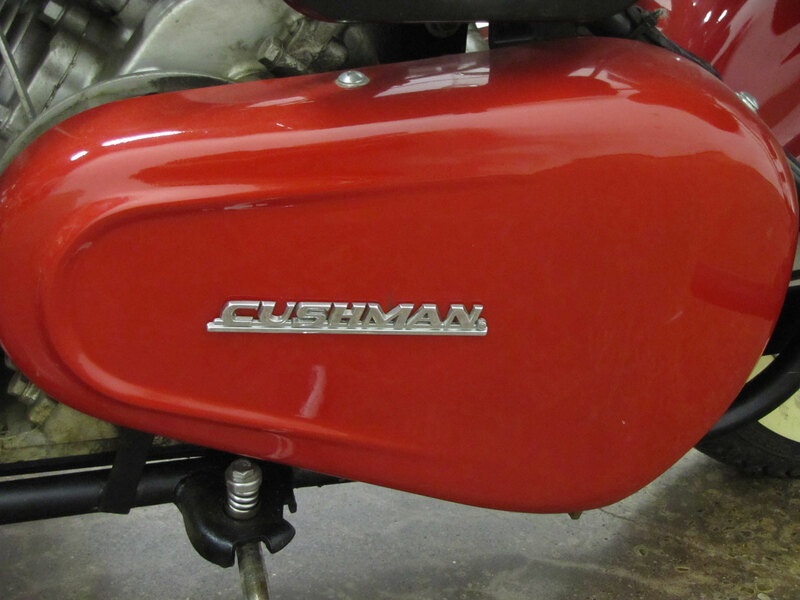 We lived near Omaha, Nebraska and Cushman’s were made just 60 miles away in Lincoln.